This year, I’ve decided to change up my Christmas decor a bit and go neutral! I am using white, creams, golds, and some silver. I’ve had this mirror that I have been wanting to use on my mantel for quite a while and it’s finally making its debute this Christmas. 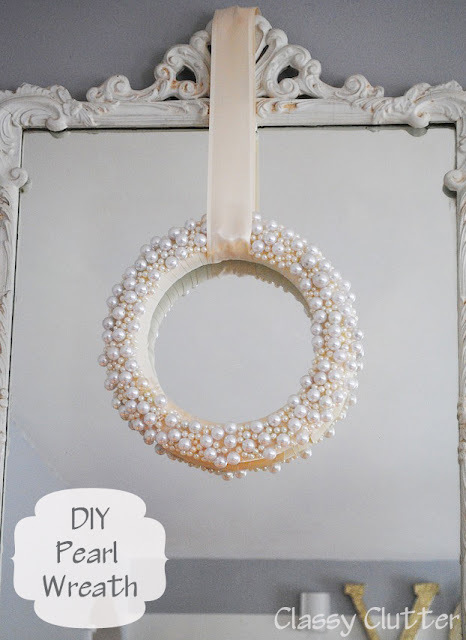 I have been working on my mantel decor and I’m super excited to show you how to make this wintery pearl wreath that I hung on my mirror. You’ll need a foam wreath form, some thick ribbon (get two spools – I ran out halfway!, hot glue/gun and lots and lots of pearls. I used different colors and sizes to create some dimension. 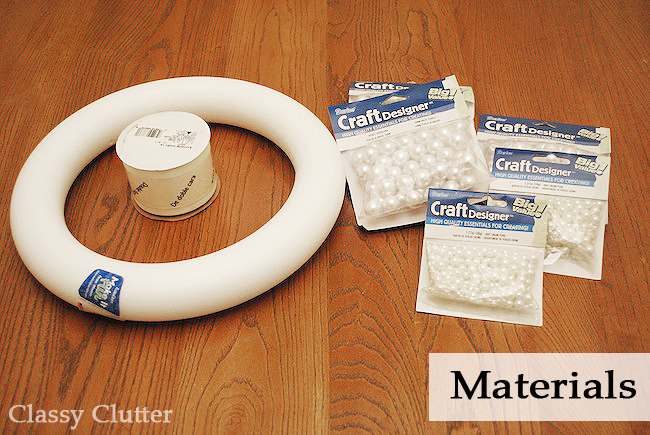 First, wrap your wreath with ribbon then start gluing… and gluing… and gluing! I placed them on scattering the colors and sizes. I didn’t cover the back or the inside to save some money on supplies and it looks really elegant without them done so it’s no biggie! If you want, you could totally glue more. That’s it! Easy huh!? My plan is to use it even after Christmas since winter lasts quite a long time here in New York. This would even be a fun idea for a wedding! Gotta love all the possibilities! It’s so pretty! I think it’s a great idea and it turned out perfectly! Wow! So pretty! Perfect for all winter long. Oh my gosh! That is seriously gorgeous. Very luxurious looking. gorgeous! reminds me of bubbles! It’s so elegant! Great idea! So beautiful! I would definitely keep it somewhere all year long. This is so, so pretty. Great job! I love how you varied the sizes of the pearls too. I can’t get over how pretty that turned out! It is definitely pretty enough to remain out all year! This is a beautiful wreath. So pretty even in it’s simplicity. I’m still tipping that it took you some time to glue them on but well worth every minute! This is absolutely gorgeous. I could see it in my mom’s dining room. This is beautiful! I am featuring this at somedaycrafts.blogspot.com today. This is beautiful! Pearls are part of my Christmas decor, so this is very tempting!!! This is so beautiful! I love how elegant it is, wonderful job! 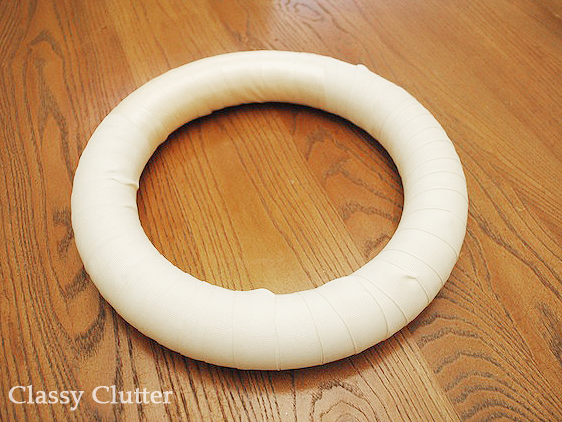 Your wreath is gorgeous. I love this. It is right up my ally. I have a link party called Wednesdays Adorned From Above Blog Hop and would love to have you share this with everyone. It runs from Wednesday through midnight Sunday. Here is the link to the party. Beautiful! I want to do something similar for our house for after the Christmas decor comes down. I like to decorate for the seasons. I love this. It is so girly! So classy and girly! I love this wreath! Your wreath is so beautiful! I’ve always been a pearl kind-a girl. They just add a perfect, elegant touch. I happen to love the shabby chic/vintage/French inspired decorating style and this would be beautiful year round! Thanks for the easy to follow tutorial and the great idea! Love this.. so classy and chic! So beautiful!!! Love the pearls, thank you for sharing have a wonderful Christmas! I think it is absolutely gorgeous, and PERFECT for Valentines Day decor! That is beautiful. Looks so easy to make, but it’s so elegant! Really pretty and elegant. 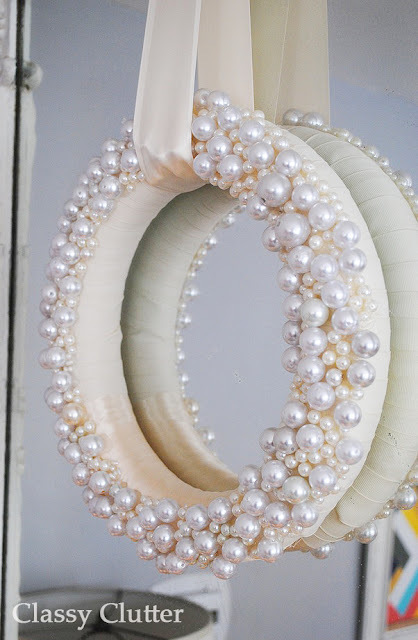 It’s not often that I find a wreath on a blog that I actually think is pretty but this blew me away. I think I might make a few myself. Aww what a beautiful wreath! 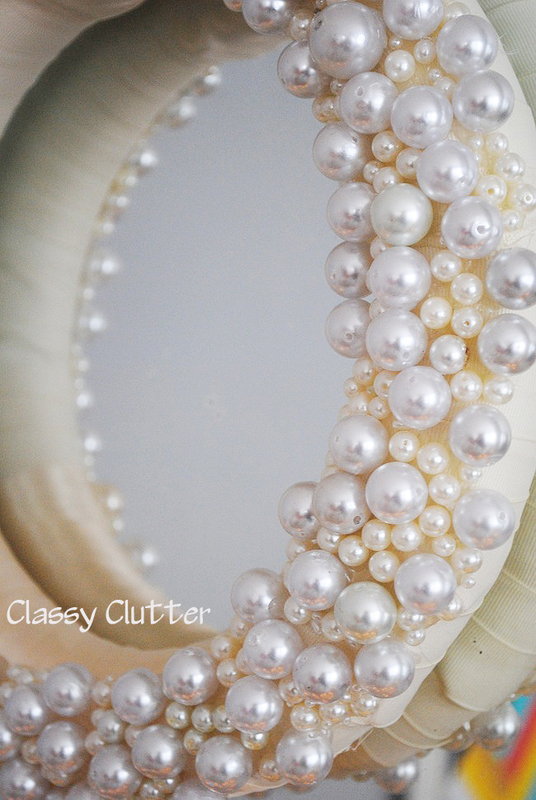 Love the pearls, the wreath looks so elegant! And perfect for winter, the pearls give it that wintery shimmer! Happy New Year! Wow. I love this. So pretty. I am hosting a link party and would love it if you would check it out. Thanks. This is GORGEOUS! Thank you for sharing!! I love how simple and elegant this is. It could be left up until Valentine’s even, since it’s so neutral!